1. What are the main advantages of using resilient flooring? Resilient flooring , which includes vinyl, rubber and linoleum, has become a valued internal floor finish used in many commercial and retail applications. Resilient floors are durable, easier to maintain and more moisture resistant than many alternative materials. Vinyl sheet and tile flooring, rubber sheet and tile, and linoleum sheet are available in a myriad of styles and colours. Virtually any look can be obtained to suit any decor. Contract Floor Coverings are experts when it comes to laying vinyl flooring and lino floor coverings. Resilience is a property involving the elastic energy in a material, which causes it to regain its original shape, after having been indented by a high pressure load. 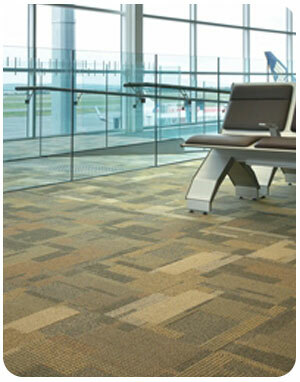 Resilient flooring reduces noise and provides comfort underfoot. Unlike hard surfaces such as wood, laminate, terrazzo or ceramic tile, resilient floors have “give” and thus are suitable for a large variety of applications. 3. How can you determine the durability of resilient floors? To determine the durability of resilient flooring as related to traffic wear, it is necessary to take many factors into consideration. These factors should include: abrasion resistance, resistance to gouging, punctures, cuts and impacts, as well as rolling, sliding and standing loads. 4. 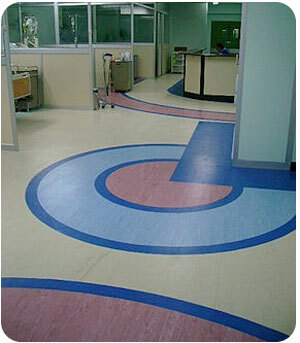 Over what types of sub floor can resilient vinyl flooring be applied? Resilient flooring should be installed after all other finishing or construction trade operations, including painting have been completed. 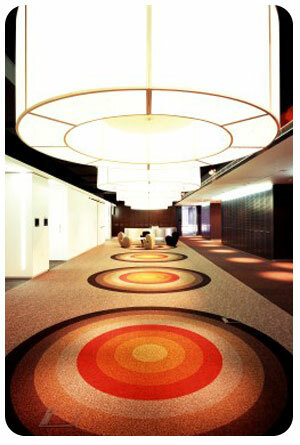 This type of flooring can be installed over wood, concrete or, in some cases existing floor coverings. However sub flooring should be clean, smooth, of high quality and as flat as possible. 1. How do I select the right carpet? Today’s carpet offers you a wide variety of choices in style, fiber composition and colour whether you are looking for broadloom or modular for a corporate office, school or public space. Contract Floor Coverings are not only a carpet tile supplier, becuase new technology can produce multilevel loop and cut-lo op patterns allowing diamond, bow and pin dot designs that pop out in sculptured effects. Some selection criteria should include: Construction, fiber and backing, Dyeing Methods and Colour, Size Options, Quality and Performance Based on End Use as well as Insulation, Sound Absorption and Safety. 2. What are the main benefits of using Carpet as a floor finish? Carpet provides warmth and comfort, adds beauty and style, cushions slips and falls, reduces noise, maintains appearance, improves indoor air quality, saves money over time and in some cases meets Green Building Standards.